With almost 60 million internet users Mexico has a growing ecommerce economy and a strong emerging middle class. But don’t let this number fool you as 60 million is only half of the country’s population that exceeds 122 million people, leaving plenty of space for ecommerce growth. Mexico’s growth potential is so high that A.T. Kearney’s 2015 Global Retail E-commerce Index ranked Mexico’s retail potential to be higher than Spain, Chile and Brazil and is expected to reach 17.6 billion dollars in sales by 2020. Apart from the amount on internet users there is yet to be acquired, there are also supportive regulatory reforms and smartphones are becoming more affordable. All of which interfere on the ecommerce market penetration that is expected to hit 36.9% in 2022 with an average revenue per user of USD 318.2 against the current USD 249.46. Demographically speaking new users are more likely to adhere to online shopping and unlike the global trends, men are more bent to shop online than women between the ages of 25 and 44. In January 2018 the majority of internet users are those between 25 and 34 years old followed by the younger ones at the ages of 18-24. On a like-for-like basis the projected ecommerce revenue by market segment varies from one year to another, however Electronics & Media and Fashion will be on the run to take first place in revenue on the upcoming years. The United States is still the origin of the majority of Mexico’s imports followed by China, Japan, South Korea and Germany. As mobile is becoming increasingly affordable in Mexico the mobile commerce penetration is also increasing especially among the younger ones. But however they like to browse on mobile, Desktop is still the main choice for placing a purchase, at least by 70% of Mexican online shoppers. As far as social media goes, Facebook is used by more than half of the population in the Mexican market and it is highly recommended that you create a solid Facebook presence if you wish to engage with customers in Mexico. Similar to Black Friday, in Mexico there’s a Hot Sale Event yearly that tend to last for three whole days between May and June. Mother’s day in Mexico falls every year on May 10, Father’s day falls on the third Sunday of June and like most countries Valentine’s Day in Mexico is also celebrated on February the 14th. 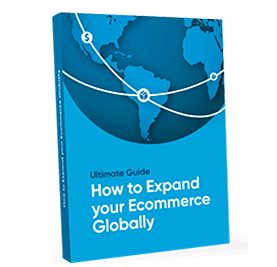 Given a few important aspects of an online business that are exclusive to ecommerce and are still in need of much improvement in order to compete globally, we can say that Mexican ecommerce has still a long track to run on the ecommerce race. The main aspects that need urgent improvement are the two next to bullet points we will go through: logistics and payments. If in one hand Mexico’s retailers don’t offer as much options and flexibility with delivery when compared to other countries, on the other hand credit cards don’t have high penetration in this Latin country and online payments can become a challenge when it comes to acquiring new customers, especially with the existing online fraud rate. Therefore traditional retailers in Mexico face competition in other regular online retailers that operate with leaner cost structure and offer more creative options for delivery and trustworthy local payment methods. 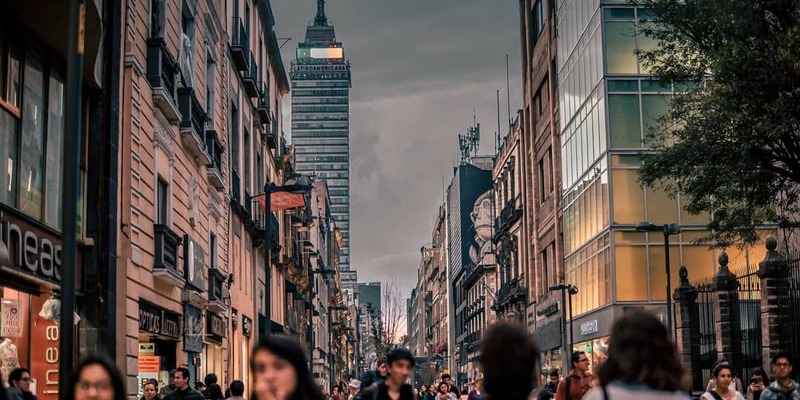 With these two things in mind, innovative retailers that enter Mexico will be making the first move towards conquering what could be one of the most profitable ecommerce markets in Latin America. Generally speaking Mexican retailers don’t offer many delivery options. Delivery times in Mexico are below those of global leaders, taking between 10 and 15 days for the order to arrive at the buyer’s house. In saying so I must add that to the retailers that innovate in delivery policies and time frames might find themselves a good market to explore. This can be done by offering scheduled deliveries, in-store pickup, express delivery services, same day posting, and standardized return and exchange policies. Credit card frauds and low credit penetration in Mexico are probably the most relevant factors that hold the country’s ecommerce back. Mexico has put great effort to reduce internet costs and online fraud, however credit card fraud at online shopping is still a fact with 56% of customers having been a victim of fraud reportedly over the past 5 years. As a result buyers don’t feel as safe purchasing online and improvements are yet to be made on the country’s infrastructure. Online retailers that intend to expand their operations in Mexico are advised to explore different payment methods. This is the best way to decide on a system that combines geographic reach, services, rates and fraud control. Let’s explore a few of the most commonly used payment methods in Mexico. Credit card is still a highly used payment method for online purchases in Mexico however low this method’s penetration is when compared to other Latin American countries. There are 30 million credit cards for a population of around 123 million, representing only 24% of penetration. This is considerably low when compared to 134 million debit cards in Mexico that are mainly used to withdraw money from the ATM machine. Not all websites allow purchase to be made with debit cards as by default most debit cards aren’t allowed to process online purchases or foreign currencies, therefore only 15% of ecommerce purchases are made through debit cards in Mexico even though the penetration of debit cards is 80% higher than credit cards. OXXO is an offline payment method that allows customers to pay for products and services in installments without interest. OXXO invoice is a document with a bar code issued by the seller that can be paid by the buyer at one of the 13k convenience stores in the country. It has even been used to pay utility bills by Mexicans. SPEI is an acronym for Interbanking Electronic Payment System and was developed by Banco de Mexico to offer a more practical, agile and secure online payment method by allowing Mexicans to make electronic money transfers and payments through online banking almost instantaneously. Bottom line, Mexico is a country with great market potential for ecommerce businesses. Specialists bet on Mexico being the biggest potential market in Latin America as mobile phones become more accessible, internet penetration is considerably high and more Mexicans are browsing for products online. What the country needs to adjust in order to start running towards the first place, landing right in front of Brazil and Argentina, is to work on website’s payment methods to overcome the low credit card penetration in the country, increase brand – and payment – trust among their target market and operate with attractive delivery policies.